Contains very-high antioxidant level 12.30% vs 5-6% for mass-market teas. Character: Crisp and flavory, yet smooth An exciting new green tea with the richness and antioxidant character of our African loose leaf teas but in a convenient powdered form. Full flavored green tea minus the vegetative notes typical of eastern greens. Excellent cup with light astringency. An exciting new green tea with the richness and antioxidant character of our African loose leaf teas but in a convenient powdered form. Full flavored green tea minus the vegetative notes typical of eastern greens. 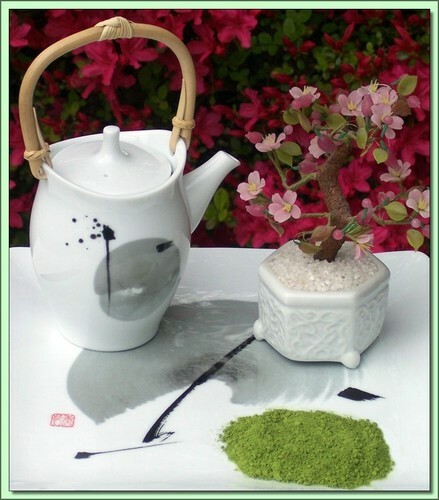 Light green tea notes with floral accents and an exceptionally smooth finish. The cup is lively and assertive. A 40g bag should make 20-25 cups (e.g half a teaspoon per cup). Matcha consists of stone ground leaves so it contains, by volume, higher concentrations of catechins, vitamins and L-theanine which is linked to increased alpha brain wave production and is considered a natural antidepressant, stress reliever and energy booster. Matcha contains approximately 10 times the polyphenols of regular teas.